You know this thing about Prudential of Cha Ching Games? On our website we have created a really wonderful category of Prudential of Cha Ching Games, where we have no doubt at all that you are going to have a really fun time, and learn many thigns at the same time as well! Waste no time at all in trying our Cha Ching Games, and let the fun begin, only on our website! In Prudential of Cha Ching Games you can find 3 games that we've published for these kids and childrens that are interested to play Prudential of Cha Ching Games, this game gategory have been created on 30.05.2017. These games with Prudential of Cha Ching Games have been voted 1 times and the avarage of vote is 5.00 stars. We advice you to play the last flash game from Prudential of Cha Ching Games, Cha Ching Saver that have been published on 01.06.2017 06:00. Cha Ching Saver its a part of Prudential of Cha Ching Games category and until now its played 718 times. Try it now on Cute-Games.com! If your like the Cha Ching Saver game you can write a comment in the game page. Recommend this game to your friends if you like it! Cha Ching Saver World Your its a part of Prudential of Cha Ching Games category and until now its played 515 times. Try it now on Cute-Games.com! 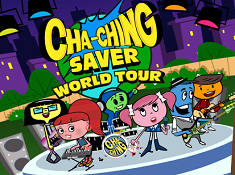 If your like the Cha Ching Saver World Your game you can write a comment in the game page. Recommend this game to your friends if you like it! 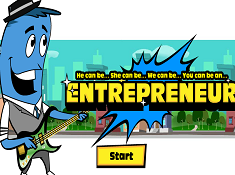 Entrepreneur its a part of Prudential of Cha Ching Games category and until now its played 464 times. Try it now on Cute-Games.com! If your like the Entrepreneur game you can write a comment in the game page. Recommend this game to your friends if you like it! Find More About Prudential of Cha Ching Games! On www.cute-games.com we are now presenting to you all a very special category of Cartoon Network Games, one we really hope is going to make a lot of children not only have a great time playing these games, but also learn a lot of things at the same time, because that is the main purpose of the show we are basing the category on. If you do not know about what we are talking about, then we can tell you that we are talking about the Prudential of Cha Ching Games category, or Cha Ching Games, which is based on the show with the same name airing on Cartoon Network, primarily in Asia, but it has been brought over to other countries as well, since it’s teaching are really important for children everywhere! We think that kids these days are very lucky to be able to play such games as these Prudential of Cha Ching Games, and have such a tool to learn as animated shows and the games based on them, since these are educational tools which have not been used in the past, and while learning might have been boring them, through these channels it can only be a lot of fun, just like we think you are going to have a lot of fun by playing each of our Prudential of Cha Ching Games, which we are gladly offering you all for free! Now, we realize that many of you might have absolutely no idea what we are talking about, and that might make you not want to play these Prudential of Cha Ching Games, but we definitely recommend that you still give them a chance! To help you with that, we have design this description with that in mind, so next up we are going to tell you what this animated series is all about, and we are also going to tell you what kinds of Cha Ching Games you will be able to play on our website, and something tells us that when you are done reading these lines, you will definitely think it is worth your time to check out the games! 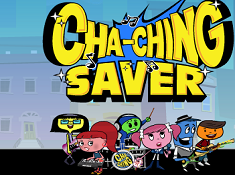 Now, Prudential of Cha Ching is a series of animated shorts, which are basically music videos, which have the purpose of teaching children aged 7 to twelve about the financial world, and how to make responsible financial decisions. This animated series was created after a study showed that most parents think their children cannot make such financial decisions, but most of them agreed that it is important for them to learn these things as soon as possible. Well, what better way to teach them than by music videos with some really awesome animated characters? Well, the shorts are centered around four characters, each representing a certain financial decision or act, and they are: Earn, Save, Spend, and Donate. Of course, like it is the case almost everywhere, Spend is the one who is most often seen, because in all honesty, more than anything else, we spend money. Of course, the animated series shows how each of these actions work with one another, and teach us why it is important to have money saved, how to earn that money, how to spend it, and of course, one really important lesson is that of donating, which is very important, as there are so many people who cannot afford things, so donations can be of great help! Most of these lessons are thought to children through songs, which are very useful, since they provide great information, and they do it in a catchy way, so that these things are better remembered by the children. Now, as for the Prudential of Cha Ching Games, they mostly revolve around the four main characters, and in them you do all sorts of things related to money, but in a really fun way, so that you can also develop your skills, and have a really fun time as well, thus mixing learning with having fun, which can only result in an incredible experience, wouldn’t you agree with us? If all that we have written up until now has not yet convinced you to play our Prudential of Cha Ching Games, we simply do not know what will! We once again want to urge you all to give these Cha Ching Games a chance, because we have put all of our trust in them, because otherwise we would not have even created the category in the first place! If you have friends who also want to have fun playing online games, and maybe they are not that good when it comes to money, make sure to bring them here, because our Prudential of Cha Ching Games might be of great help to them, fun-wise, and educational-wise as well!